Ready to go on your first geocaching outing? I thought it would be helpful to put together a handy geocaching supply list of essential gear that you should take along on every geocaching outing. If you are going to be out geocaching all day and doing a lot of hiking, you really should consider taking having a dedicated geocaching backpack. We keep a day pack in our closet that is packed with all our geocaching essentials in our closet. Then when we want to go out geocaching for the day, we just grab the backpack and we are ready to go. Want to put together your own day pack for geocaching? We have been geocaching for over 10 years now and here are the geocaching essentials that we always take with us on our adventures. The one thing you absolutely have to have to participate in geocaching is a handheld GPS unit or the Geocaching app for your smart phone. If you are just starting out, the smartphone app is an inexpensive way to give geocaching a try. If you are going to go geocaching regularly though, I recommend a handheld GPS unit. The geocaching app can run down your phone battery really fast. So if you are planning on geocaching all day, it’s a better idea to get an actual GPS. You don’t have to get an expensive model. 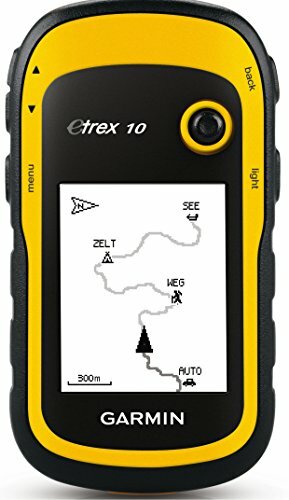 The Garmin eTrex or the GeoMate GPS both are inexpensive choices and work perfectly fine for geocaching. This is essential in case anyone gets hurt on your outing. You will at the very least want to include band-aids, a small tube of first aid cream, and some alcohol wipes. If you frequently geocache in areas that have ticks, I would also recommend putting a tick remover in your pack. 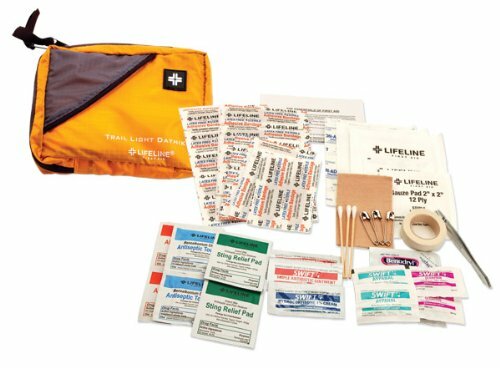 You can put a first aid kit together yourself from supplies you might have around the house or you can buy one that is already put together for you. We use a first aid kit made especially for hikers. It’s lightweight and has all the essentials we need. Not every cache you come across will have a writing utensil, so you will want to be prepared by including a pen or pencil in your geocaching backpack. We really like the Fisher Space Pen for writing in geocaching logs. These pens were designed for NASA and can write at any angle (even upside down). They can be used at any temperature and can even write underwater! So they are perfect for signing damp log books. A water bottle is essential for staying hydrated when you are out hiking. While you can certainly buy bottled water at the grocery, it is much more economical to purchase a reusable water bottle to take with you when you go out geocaching. 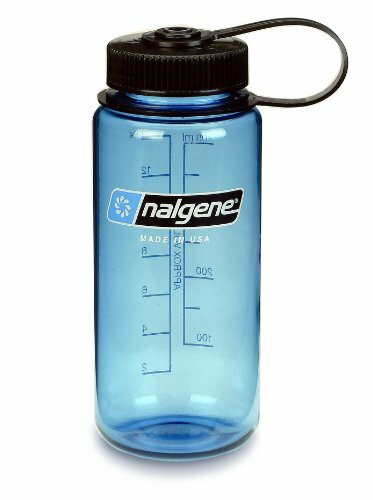 We have a Nalgene water bottle for every member of our family. They have wide mouths so you can add ice cubes easily to help the water stay cold. We use this particular brand because they are virtually unbreakable. We have dropped ours more times than I can count and still they are in good shape. One thing you can do to have cold water all day long is to get a 2-3 gallon beverage cooler for your car. Fill it with ice water before you leave. These coolers have spigots at the bottom which makes it easy to refill your water bottles throughout the day. We have this 2 gallon Party Stacker Jug from Coleman and it keeps us supplied with refreshing ice water all day long. If you are going to be hiking long distances, be sure to put some snacks in your geocaching backpack. Granola bars are our snacks of choice, but bags of trail mix also work well too. You never know what you are going to encounter in the woods. Hand Sanitizer is a handy thing to have in your pack, especially if you are going to be stopping for a snack or meal out on the trail. Alternately you could use a travel container of baby wipes. It is easy to get caught by a sudden downpour, even if rain wasn’t in the forecast. If you have a rain poncho with you, you can stay nice and dry even if you have a long walk back to your car. Ponchos are lightweight and easy to stash in a backpack. We got stuck on the trail up on Kelley’s Island last summer when a sudden downpour hit. We had to walk 2 miles back to our car in the pouring rain. Needless to say, we all carry rain ponchos in our day packs now. It is useful for checking out crevices or hiding holes where critters might be lurking. This is much safer than sticking your hand in and feeling around. I once reached under a platform to feel for a cache and pulled out a toad. I don’t know whether it scared me or the toad more! I was just lucky that it wasn’t a snake. I can laugh about it now, but that experience taught me a valuable lesson. Don’t stick your hand into hiding holes before looking in with a flashlight. So be sure to include a flashlight with your geocaching essentials. You don’t have to lug around a big flashlight – one of the Mini Maglite flashlights works perfectly and won’t add a lot of weight to your day pack. You don’t have to be a kid to enjoy the trading aspect of the game. Some adults enjoy collecting signature items, so bring something along to exchange. If you need some ideas of what to bring along for trading, be sure to check out these geocaching swag ideas. Keeping a small backpack filled with all of your geocaching gear will ensure that you will be ready to go whenever adventure is calling. A little advance preparation in gathering your essential gear will help ensure that everyone has a safe and fun-filled geocaching outing. Did I leave anything off this geocaching supply list? If so, leave me a comment below.